Alaskans love supporting local businesses, and short of having a frosty beer in your hand there’s no better way to support your favorite brewery than sporting its official hoodie, beanie or trucker hat. Some of our favorite fashions are Double Shovel, HooDoo Brewing Co. and Alaskan Brewing. It’s all about the (useful) accessories. Again, we’re showing some local love but this time we’re keeping our coffee hot all day long. This mug is the perfect addition to any outfit or excursion, whether you’re heading out on a day hike or exploring some urban wilderness. Plus, when you buy one in-store you get a free fill-up of delicious locally roasted coffee! You could find this item nearly anywhere across the Pacific Northwest, but it’s certainly an Alaska staple. 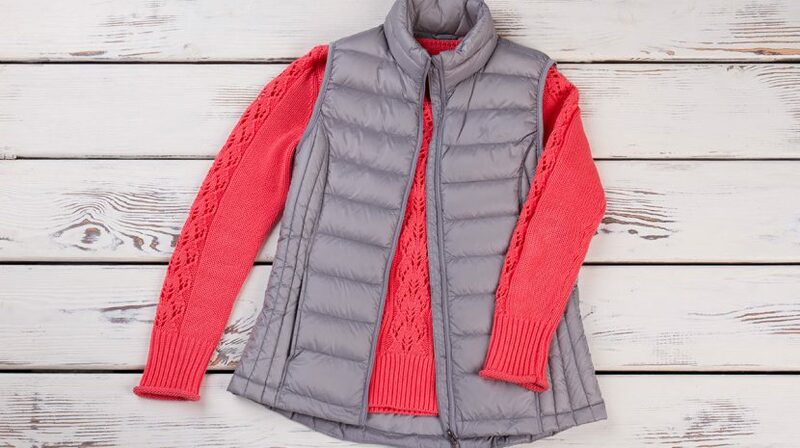 The perfect layer for hiking on a cool spring or fall day, a down vest will keep your core warm and ensure your outfit is on point, because we all know layering is essential to a great outdoor outfit. Pair with a flannel or your favorite brewery sweater. Few things are more quintessentially Alaska than these slip-on rubber boots. They’re a fisherman’s best friend, but don’t be surprised if you see them on the street paired with leggings and an oversized sweater, cut-off jeans or even a sun dress. Local favorites the Salmon Sisters even designed some specialty boots, meant to be worn folded over to show off the art inside. A pair of Carhartt overalls is exactly what your wardrobe needs this season. Overalls are in, there’s no doubt about that, and the Carhartt look will always emulate that Alaska spirit. Whether you want to blend in around Alaska or stand out at home, these Alaska essentials are all you need to begin your Alaska style transformation.